Turmeric may be trendy, but it’s been used for generations both as a cooking spice and as a medicinal herbal remedy. The crown jewel of Indian spices, turmeric is even said to be beneficial to dogs! While there are many ways to enjoy this golden wonder, here are the best ways to use turmeric from morning to night. Native to Southeast Asia, turmeric is a bright orange root that belongs to the ginger family. It’s been used for centuries in Ayurvedic medicine, dating back nearly 4000 years, as a quintessential spice in Indian cooking, and even as a natural fabric dye or a component in religious ceremonies. Today, turmeric is widely used throughout the world for both medicinal and culinary purposes. Delicious and exotic in flavor, turmeric has notes of ginger and orange, and occasionally, a slightly bitter taste. Aromatic and sometimes pungent, it’s a necessary ingredient in curry and layers well with other spices, including cinnamon, cardamom, and cumin. Turmeric easily solidifies its place as a spice rack mainstay thanks to curcumin, which is prized for its anti-inflammatory properties. 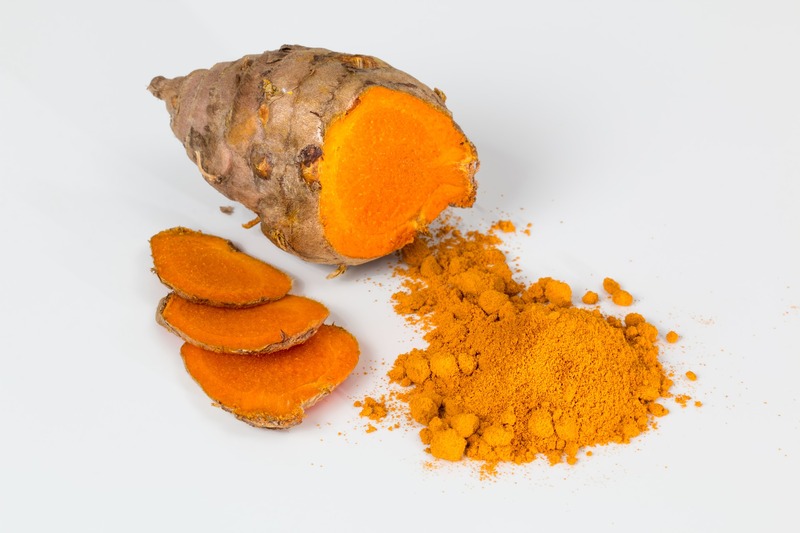 The phytonutrient also gives turmeric its vibrant golden color. Whether incorporated into meals, consumed as a supplement, or even applied topically, there are many ways to reap the benefits of turmeric on the daily. It’s easy to incorporate this high-powered spice into your daily diet. Here are some of the best ways to eat turmeric. You can add ground turmeric root to just about anything, from meat seasonings to smoothies to scrambled eggs. You can even make turmeric milk as a relaxing evening beverage. Just be sure to avoid using saffron as a turmeric substitute. While the two ancient spices can often be confused, they’re quite different in both flavor and benefits. Brew up a calming elixir with a hot mug of turmeric tea. The aromatic spice plays perfectly with other medicinal ingredients like ginger, lemon, and honey, for a truly soothing infusion. Get a curcuminoid boost by adding turmeric capsules to your daily vitamins. Housing turmeric extract, capsules can contain as much as 95% total curcuminoids, which may help support joint health. Most require a dosage of about two capsules per day. Like any other herbal remedy, taking turmeric may trigger side effects and should be taken under the care of a medical professional. Turmeric shots made with fresh or ground turmeric can deliver a potent dose of cucuminoids but are especially beneficial when combined with apple cider vinegar (which helps support gut health) and antimicrobial raw honey. Used to “maintain a healthy inflammation response,” turmeric supplements can deliver a minimum of 481 mg curcumin per serving and are often formulated with other antioxidant-powered foods like berries and mushrooms. Spicing up your meals with this superfood is easy! Here are some of our favorite turmeric recipes that are golden in more ways than one. Unwind and get a probiotic boost with a refreshing iced latte made with almond milk, fermented turmeric, coconut nectar, and cinnamon. Rice is always nice—even for breakfast. Dig into spiced turmeric rice with tender kale and a sunny side up egg for a hearty, delightfully unconventional dish. Turmeric gets a tropical spin for this sweet, superfood-fueled smoothie bowl, which combines banana, mango, ginger, and coconut milk with hemp seeds and coconut oil. Crazy for crepes? This Paleo-friendly recipe uses turmeric coconut wraps and fills them with sautéed shiitake mushrooms, creamy coconut milk, and a dash of rosemary for a satisfying, savory bite. This slow-simmered Moroccan stew is the perfect main course for your next dinner party. A blend of spices, including ground turmeric, cinnamon, and cumin add layers of flavor to bone-in chicken thighs while lemon and green olives add a zesty punch. Feel a cold coming on? Cozy up to a hot mug of steaming bone broth with ground turmeric, coconut milk, black pepper, and ground ginger. Turmeric-spiced “queso” tops off these killer vegan nachos made with baked kale chips and tomatoes, avocado, cilantro, and sliced jalapeños. Just when you thought a spiced pumpkin latte couldn’t get any better, we’ve added ground turmeric, raw honey, and real pumpkin purée to the crave-worthy brew. Take a page from Indian beauty rituals, and add turmeric into your skincare routine. Not only does the antioxidant-rich spice help fight free radicals, but it’s golden color will instantly perk up your day. Put your best face forward with this vibrant, radiance-boosting turmeric mask, which combines probiotic-rich yogurt, antimicrobial raw honey, and skin-soothing turmeric. Ready, set, glow! For a lighter, toning turmeric mask, swap in almond milk for yogurt.